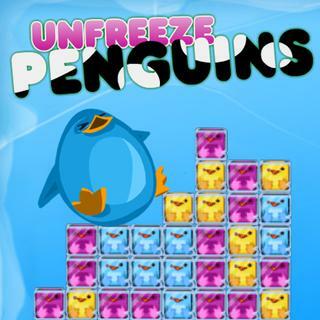 Play Unfreeze Penguins and more Match 3 Games on Games1.com! The cute penguins got frozen by evil monsters from outer space. Free them from their icy prison! Tap on at least 3 penguins of the same color to break the ice and remove them from the game field. Combos will give you a bonus. Use specials like bombs or lighting to score even more points and complete the goal in each level to progress. Can you save the little creatures and defeat the monsters?